Cheesy '70s cop show that it is, it's on Amazon Prime......lots of van sightings on the SoCal roads/highways. Mostly Chevy G series, but one episode was about some crooks stealing parts off of parked vans by the beach - the troubled teen working with the bad guys takes the loot from thieve-in' to trick out his own van! 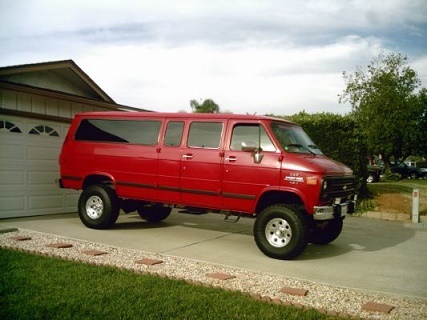 Some cool Dodge vans in that one. Last night I watched one about an abandoned toddler and this old Mr. Roper type guy was driving a pretty sweet Dodge, don't know if it was a Street Van. Was the episode called, "Wild Cherry," by chance? Reed, that is classic, thanks for my laugh for the day. The CHiPs show airs in my area for 4 hours each day. During the cold winter months I watch it a lot. Reed, that is classic, thanks for my laugh for the day.